Creative booster to extend your colour possibilities. 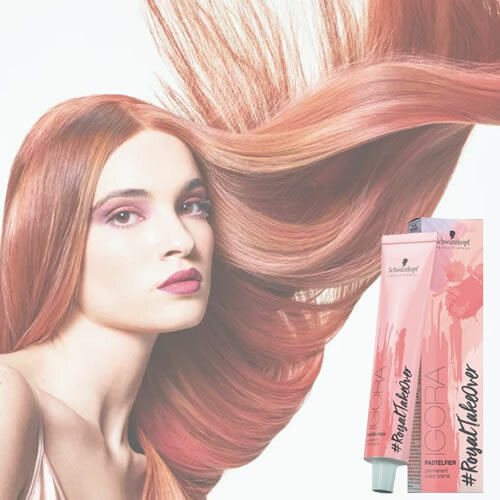 Schwarzkopf IGORA ROYAL Pastelfier is specially created for mixing with other IGORA ROYAL colours to reduce their intensity, letting you create gorgeous pastels for colouring without boundaries. Introduced as part of the #RoyalTakeOver range which sees some of the world's leading session colurists share their inspiration to create exclusive collections of über cool bespoke colours, Pastelfier is ideal for use with the Dusted Rouge collection, but will also work with any shade. £8.40 (inc. VAT) Why no VAT? We're a trade wholesaler and quote our prices without VAT to help our VAT-registered customers understand the true cost of a purchase.